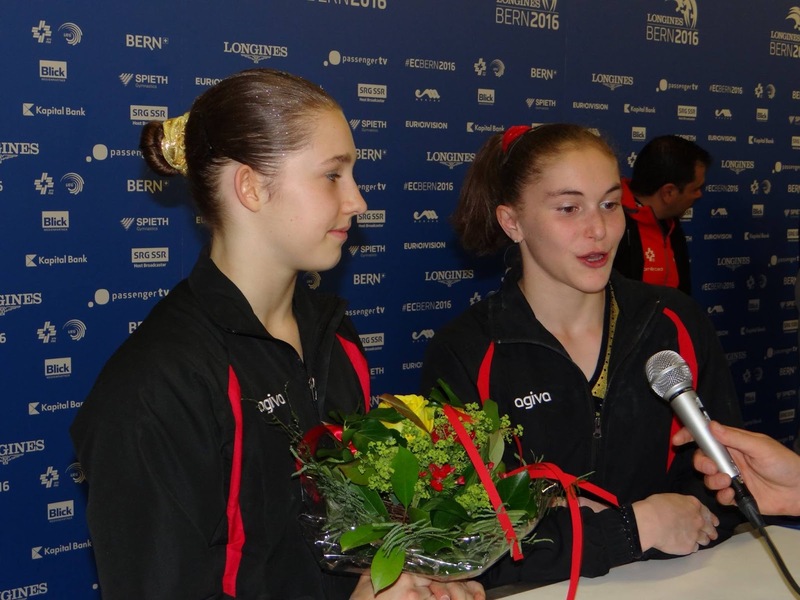 Belgian Gymnastics: 2016 EC: top 15 for Rinke in Maellyse in the AA final! 2016 EC: top 15 for Rinke in Maellyse in the AA final! Yesterday, two belgian gymnasts were competing in the Juniors all-around final. All they wanted was to do as well as they did in qualifications. They did better. 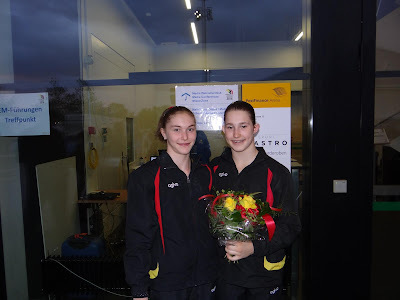 Rinke Santy and Maellyse Brassart entered this final in the 3rd group, with the gymnasts that placed from the 13th to the 18th place in qualifications (Rinke was 15th, Maellyse 16th). The group started on beam. This aparatus is always difficult to start on, and on top of that, Maellyse was the first gymnast to go. She wanted to repeat her performance from day 1, but unfortunatey, she fell on her acrobatic serie, two backhandspring to a layout step out. The rest of her routine was good and she still managed to get 12.400 with that mistake. Rinke went right after her, and didn't have any kind of troubles. She scored 13.066 for her backhandpsring to layout step out, a back tuck and her Gainor piked dismount. On floor, Rinke received a 12.600, more because of her low difficulty than because she has had a mistake. She presented a back double tuck, a one and a half twist connected to a front piked somersault and a double twist to finish. Floor is Maellyse's favorite event and you can see it while she performs on her Skyfall music. She had a landing mistake on her double tuck, a big step forward but her round off one and a half twist connected to a double twist combination looked great (12.733). As usual, they performed clean and powerful full twisting Yurchenko's on vault, Maellyse receiving the highest score of the two with a huge 14.200. Rinke got 13.800. They finished their competition on bars. If none of them made mistakes, there is nonetheless room for improvement, as Maellyse had a few leg seperations throughout her routine. She performed a Maloney (toe-on to Shaposhnikova) connected to an immediate pak salto, a piked Jeager and a double piked dismount (12.500). Rinke was cleaner, scoring 13.133 for her high Jeager and her double twist dismount. 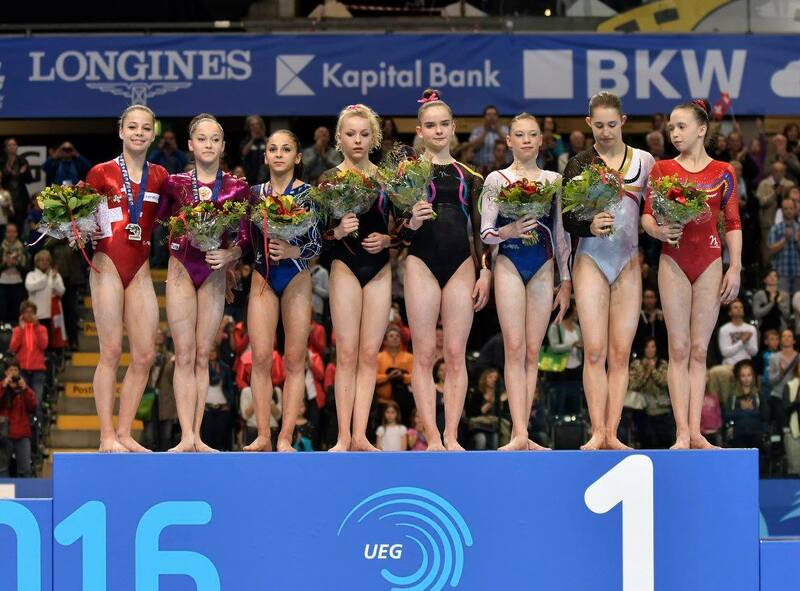 In a final that saw many gymnasts fall, Rinke Santy was among the few gymnasts to not have any mistake. With a total of 52.599, she placed 7th and matches Bérengère Fransolet's result from the 2012 Juniors European Championships. The best all-around result ever achieved by a Juniors was a 6th place finish (Gaelle Mys back in 2006), but Rinke showed great potential for the future. Maellyse scored 51.833 and placed 14th. Without that fall on balance beam, she would have been in 6th. But she doesn't have any regrets to have as this result is also very promising for the 14 years old. Tomorrow is the last day of competition in Bern. We'll closely follow Gaelle Mys in the balance beam (12:20) and floor exercise final (12:55)!